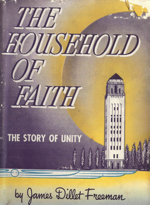 "They Say, and Do Not"
This is the landing page for the full text of James Dillet Freeman's 1951 book The Household of Faith. What’s new here is that I have incorporated all 90 of Tom Witherspoon’s Essence of Unity audio clips into the text of James Dillet Freeman’s book. 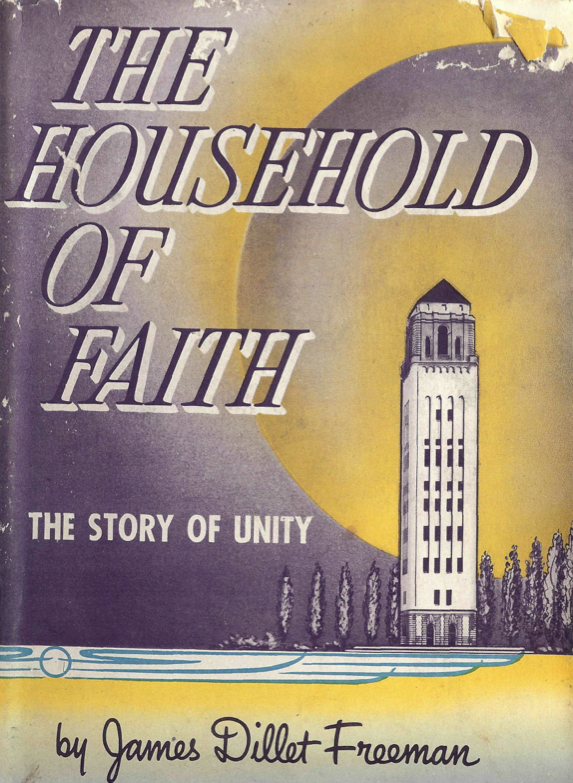 So what you have are two classic resources merged together -- the original 1951 text of The Story of Unity written by Unity’s great poet, and the 1981 lectures by Unity’s great historian. Witherspoon annotates Freeman, giving you a new learning experience. 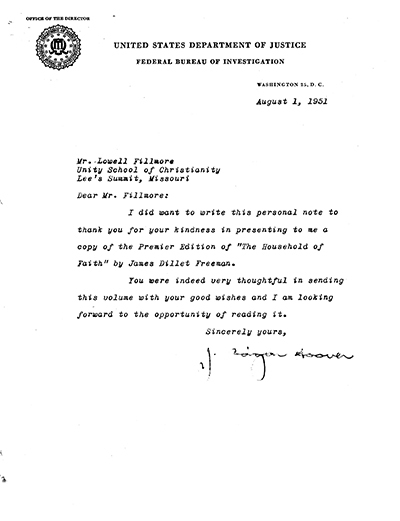 In addition to the Witherspoon audio clips, there are numerous photographs and links to other resources, such as tracts, the Bible and biographies. I remember my metaphysics teacher telling us to "rephrase" the way we talk to God. You see many of us had included "theistic" language in our prayers. Not only had we spoken "of God", we had actually spoken "to God." Our transgression was a double offense: not only had we spoken in theistic terms, but we had done so personally. In exasperation, I asked, “would Charles Fillmore pass muster in this class?” His reply was “Well, no, not the way he wrote in in his lifetime.” That was all I needed to know about my teacher's metaphysics. “Repeated thinking about the presence of God makes Him increasingly plainer to my inner vision. I have thought about Him as the life of my body until every cell is athrill with an energy that I can feel as you feel the shock of an electric battery, and He tells me how to communicate this life to others who have not recognized it as I have. Don't let the fool say in your heart, 'There is no God'. I let that kind of fool talk in my heart and it set up a current of thought that kept me for years speechless in the presence of God." Text and audio by inspired writers may not bring us into an awareness of the presence of God. But they may shift the nature of our thoughts from being a household of philosophy to becoming a Household of Faith.